The sketchbook kiss from the last episode was just too adorable. It’s easy to see why he’s just out of it with everything that’s going on. 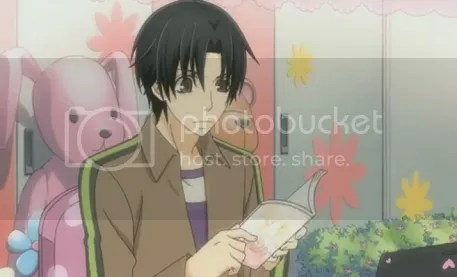 He’s confused about how Yukina kissed him at the cafe since he didn’t expect for Yukina to be into guys. 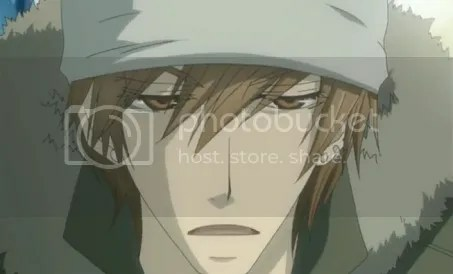 Yukina can get mean when it comes to Kisa. 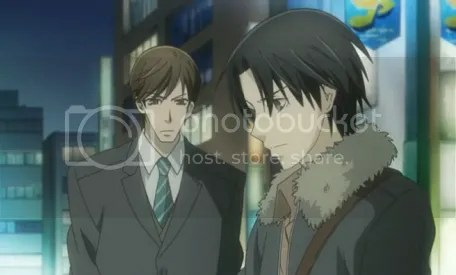 I thought it was cute how his tone totally changed when he warned the guy not to mess with Kisa anymore. Kisa’s ex was being such a punk. Oh my. Yukina’s never fallen for a guy before. I’m a bit surprised at how he’s handling his feelings since its his first time liking a guy, first time confessing to a guy, and first time saying ‘iloveyou’ to a guy. 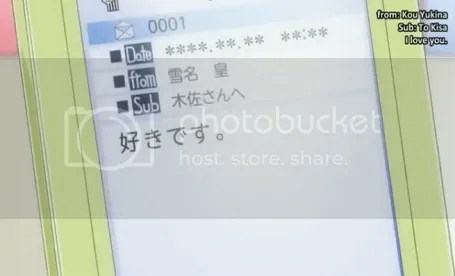 It was funny how Yukina sent Kisa three texts but the first two having to do with congratulating Kisa on having more copies of his book and the last one with ‘iloveyou’. It’s too cute. hah. This entry was posted in Anime, Currently Watching, Sekai-ichi Hatsukoi and tagged anime, sekai ichi hatsukoi. Bookmark the permalink. It’s good to see Kisa’s strings of achievement within that sort period of time. A request of reprint for his book and finally being in love for the first time. 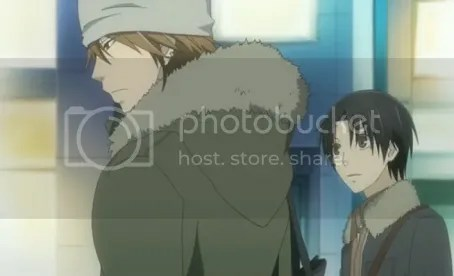 I initially thought for Kisa’s case, it’ll be an unrequited love since I thought Yukina is straight. Haha. Happy ending in the end. P.S Yukina does really have a good looking face! Lol, he has to look the part. Since the series ended the way it ended -idontknowifyou’vefinishedityetsoi’mnotgoingtospoilitforyou- I would have to say I love KisaxYukina the most. TakanoxRitsu comes in last with the other couple -iforgottheirnames DX- ranking second.